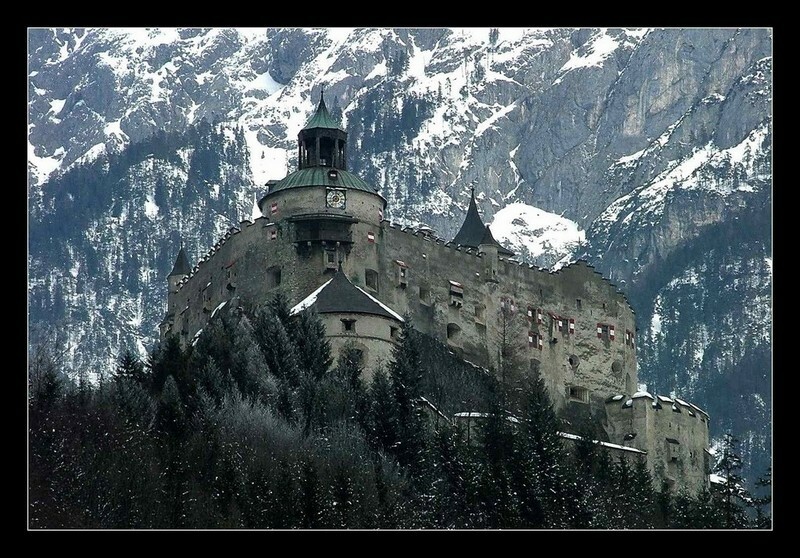 Burg Hohenwerfen: the former fortification dating from the 11th century towers high above the Salzach Valley. Hohenwerfen served Salzburg’s rulers, the prince-archbishops, not only as a military base but also as a residential and hunting retreat. Alternatively it was used as a state prison and therefore had a somewhat sinister reputation. Its prison walls have witnessed the tragic fate of many ‘criminals’ who spent their days there – maybe their last – under inhuman conditions, and, periodically, various highly ranked noblemen have also been imprisoned there including Rulers such as Archbishop Adalbert III (1198), Graf Albert von Friesach (1253), the Styrian governor Siegmund (1525) and Archbishop Wolf Dietrich von Raitenau (1611). Nowadays this mighty bastion functions as an adventure castle for its visitors. Among the numerous attractions offered by this exciting fortress are guided tours through the fortress showing its extensive weapon collection, the historical Salzburg Falconry with the falconry museum as well as a stylish fortress tavern. The historic Falconry Center is a special attraction, offering daily flight demonstrations by various birds of prey. Burg Hohenwerfen was famously used as the castle ‘Schloss Adler’ in the film Where Eagles Dare, although the memorable cablecar scenes were filmed using the Feuerkogel-Drahtseilbahn in Ebensee. Hohenwerfen also appears in the background of The Sound of Music during ‘Do Re Me’.